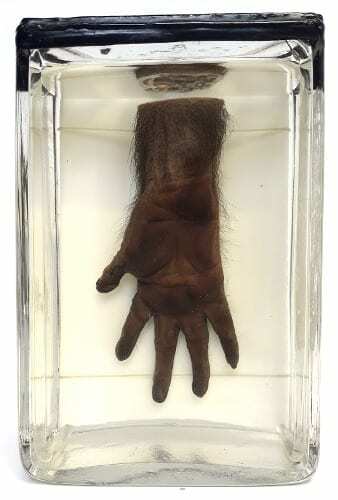 Preserved chimpanzee manus (hand). LDUCZ-Z1146. I understand that by re-working Eric Idle’s Eric the Half a Bee song to read ‘chimpanzee’ instead of ‘bee’ most of the rhyming joke is lost, but I digress.